As Middle Earth fever takes hold of the UK with the release of The Hobbit: The desolation of Smaug I thought it might be time to take the adventures of Bilbo into the living room in the form of The Hobbit Board Game. Gathering four of my best companions to join me on the adventure, we settled down for an evening of troll slaying and dragon fighting. 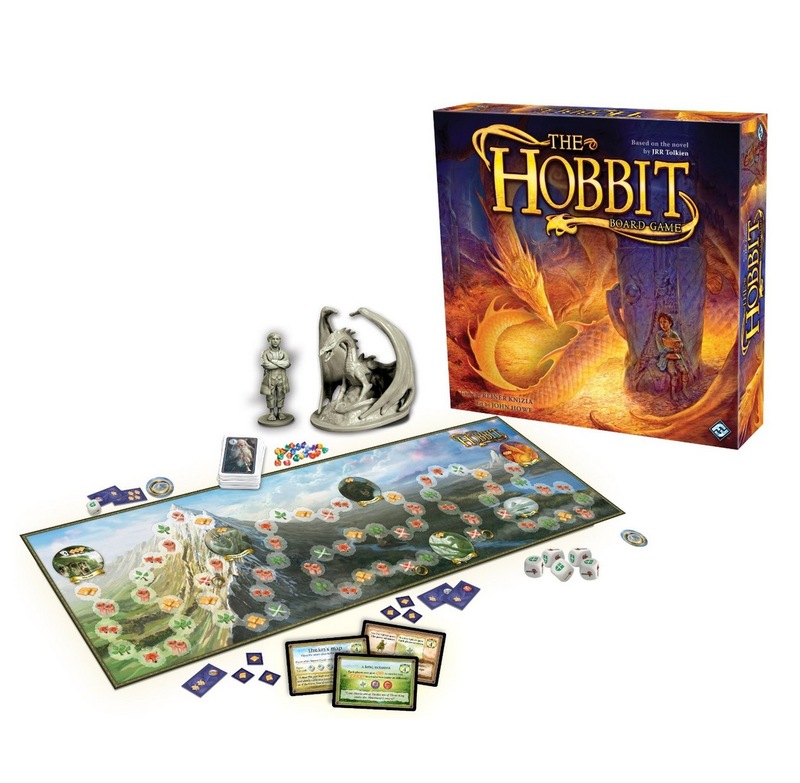 Based on the J.R.R Tolkien book as opposed to the recent film releases, The Hobbit is a game for 2-5 players which utilises a score card system rather than individual player pieces. The aim of the game is simple, kill Smaug and find the treasure. When opening the box we were pleasantly surprised by the level of detail of the board as well as some rather beautifully illustrated dwarf cards. A lot of work had gone into these which is why we were bit surprised by the Bilbo and Smaug figures which were plastic and painted red. Having laid out all of the pieces we then tackled the game instructions, which actually took as long as Bilbo’s journey to the Lonely Mountain. Having passed the instructions around we decided to just play the game and when we came to segment we weren’t sure about, we referred back to the instructions. Despite the initial hiatus, The Hobbit is a rather enjoyable game, however not for unseasoned gamers. The game is split into four adventures. Players must level up their initiative, cunning and strength in order to battle goblins, fight wolves and escape elves before confronting Smaug himself. On the way players will also collect gems which ultimately is the aim of the game as the player with the most is declared the winner at the end. Each adventure comes with a series of adventure cards which break down into Gifts, Abilities and Travel cards. Gift cards present players with attribute benefits; Abilities assist players with battles; and Travel cards move Bilbo along his adventure. When encountering a battle, players must role five dice in order to match certain conditions before moving on. Should the conditions not be met, players must draw a Dragon card, which incurs penalties and may result in Smaug moving across the board. Should Smaug reach Laketown, the game is over and the player with the most gems is declared the winner. Having played the game with four other players we did actually have fun once we got into the game and overcame the rather confusing rules. My best advice would be to have someone read the instructions before you and your friends sit down together, or even just read the rules as you play like we did.